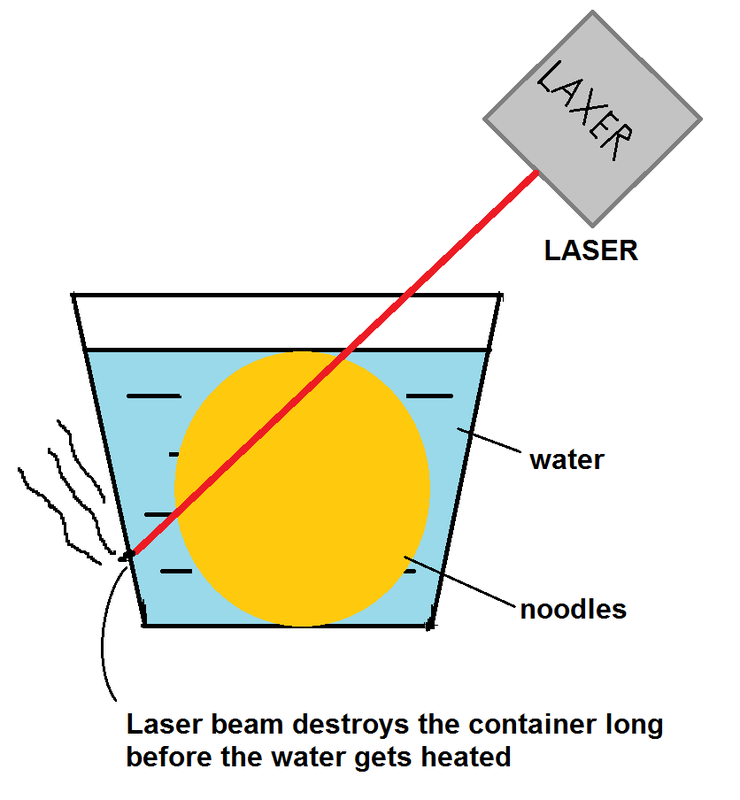 It is claimed in the popular sitcom The Big Bang Theory that it is possible to heat up a pot of instant noodles with the laser that they have in a laboratory. Researchers from the University of Leicester came up with a paper in February 2011 that provides us with the results: it's not practical. 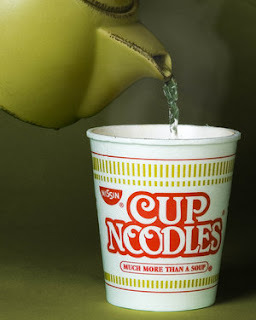 Normally one would just have to pour hot water into a pot of noodles and wait for two minutes for the noodles to absorb the water. 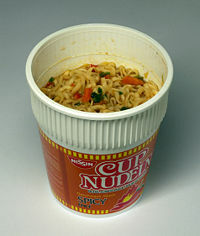 The show, however, described "heating up" the pot. 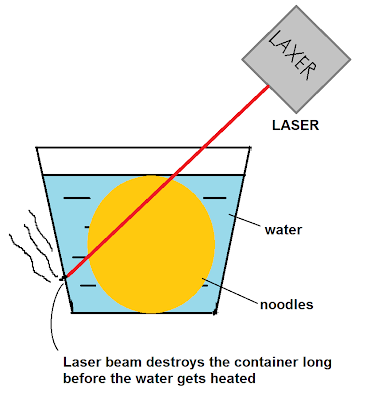 So it is assumed that cold (room temperature) water is put in the cup and heated by the laser to boiling point. The experiment shows that the heat transfer process is very ineffective, since it melts the container long before it heats the water. Note that the container is made from high impact polystyrene (HIPS)which takes 4.51×10-4s (with a 500 kW output) to melt. The water, however, did warm up by the meagerest amount. It is therefore concluded that this would not be a practical way to boil your noodles. After all, you could always use readily-boiled water.